These homemade stewed tomatoes are a snap to prepare and cook in the slow cooker, and they are so much better than canned. Meaty plum tomatoes (also known as Roma tomatoes) are an excellent choice. The tomatoes are seasoned with chopped celery, onion, and bell pepper. You'll find tips and variations for Italian-style and Mexican-style stewed tomatoes below the instructions. Bring a large saucepan or pot of water to a boil over high heat. Using a sharp paring knife, core the tomatoes. Carefully lower a few into the boiling water and leave them for about 15 to 20 seconds. Lift them out and immediately immerse them in the ice water to cool quickly and loosen the skins. Peel the tomatoes and then cut into wedges. Transfer the tomato wedges to the slow cooker and add the butter or margarine, sliced onion, celery, green bell pepper, sugar, the bay leaf, and salt and pepper. Cover the cooker and cook on low for 6 to 8 hours. Remove the bay leaf and sprinkle with parsley, if desired. Serve as a side dish or freeze in portions for soups or other recipes. Roma Tomatoes: These are meatier than most varieties, and an excellent choice for stewed tomatoes. Celery Flakes: Another excellent flavor addition, and you can use them in addition to the chopped celery or as a substitute. Make Multiple Batches: This recipe is easy to double or triple if you have an abundance of tomatoes. 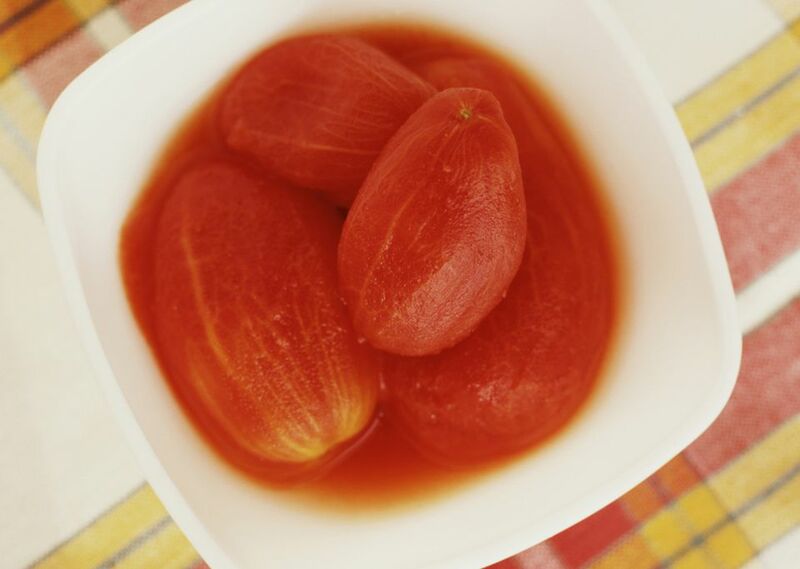 You can freeze these tomatoes in freezer bags or freezer containers. Generally, wide mouth jars and containers should have about 1/2-inch of headspace, but if you freeze them in standard canning jars leaving about 1 1/2 inches of headspace. Italian Style Stewed Tomatoes: Add 3/4 teaspoon dried leaf basil or oregano and 1 clove of garlic, minced. Reduce the sugar to 1 teaspoon or to taste. Mexican Style Stewed Tomatoes: To the basic recipe add 1 scant teaspoon of cumin, 2 teaspoons of chili powder, 1 clove of garlic, minced, and 1 scant teaspoon of oregano. Reduce the sugar to 1 teaspoon, or to taste.